365games started out from a single eBay store in 2004 and has grown massively to multiple sites across the world. Their website 365games.co.uk was launched in 2007 and offers a dynamic range of video games and entertainment products. Their current head office is located in Renishaw but the company plans to relocate into a much bigger site later this 2017 with purpose built offices and incorporate their latest operational Distribution Centre. 365Games is a fairly young and vibrant company with a hands on staff who are willing to work hand in hand in order to reach their goals. Their success has been built on the core foundation of creative and hardworking individuals. Throughout the years the company has expanded their product range. In 2012, they added a wide range of board and card games on their offerings and in 2014 they expanded their clothing and collectable range further. Their website 365Games.co.uk was revamped this year as well and has been developed based on the feedback from their customers making their website faster with simpler categories and search as well as a faster checkout process. 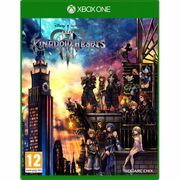 Here at LatestDeals.co.uk you will find unbelievable saving for 365Games. We have the latest 365Games.co.uk voucher codes, sales, discounts and coupon codes shared every month by our massive community of bargain hunters for our members. Can’t find what you’re looking for? No problem! 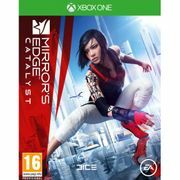 Checkout our great deals for Game, Base, Simply Games Ltd. GameSeek and GearBest. Latest Deals have everything you need to satisfy the game aficionado in you! Our community of bargain hunters are always on the lookout for the best discounts and deals on your favourtie gaming companies. Members of LD should always be on the lookout for their Special Offers such as Combo Deals, Time-Limited Deals and Recent Price Drops where you can save big every week. They offer price slashes on select products and you can even earn an extra %0% Player Points! How do I contact 365games? The answers to a lot of common questions can be found in their FAQs section. You may call them at 0333 101 4456. What are the delivery options for 365games? 365Games typically dispatch items within 24 hours Monday to Friday excluding public holidays. During the Christmas holiday season, orders may take more than 24 hours before dispatch. Orders are delivered by UPS or Royal Mail. All prices include standard UK delivery at an estimated 2-5 working days. An upgrade to UK First Class delivery is available at 99p per item, and has an estimated 1-2 working day delivery estimate. Super Saver UK Delivery: Free, 2 to 5 Days. Royal Mail First Class: £0.99 per item, 1 to 2 days. Recorded Delivery (UK Signed for): £2.99 per item, 2 to 5 days. DPD: £3.99 per item, next working day. If your order is late please contact them using their Online Contact Form. For International delivery and for more information, visit their Delivery page. How do I return an item to 365games? For faulty items on arrival, you have 30 calendar days from receipt of your order in which to inspect the goods and advise them if they were faulty on arrival. During this initial 30 day period you are covered by their quality guarantee in addition to your normal rights and will qualify for a replacement or full refund once the faulty items have been returned to them, in their original packaging complete with all accessories and documentation. They will cover the costs incurred for returning the item or provide a freepost label. If you simply changed your mind about any item orders and you wish to return it, simply inform them of your decision and return within 14 days of receipt. The item must not be used and must be “as new” when returned to them. On receipt they will refund the purchase price of the ordered items that are returned. PC games with digital content cannot be returned once installed. Digital/email code purchases are also non-refundable. Brad from WOTO reviews Metal Gear Solid V: Ground Zeroes for us at 365gamesTV. You can grab it here at http://www.365games.co.uk/ps4-games/metal-gear-solid-ground-zeroes-game-ps4.